Developers taking part in the testing program can download the new builds either from the Apple Developer Center or as an over-the-air update to devices already enrolled in the scheme. The public beta version usually surfaces within a few days of the developer counterpart, and can be acquired from the Apple Beta Software Program website. The fifth iOS 12.1 developer beta is build number 16B5089b, up from the fourth build's number of 16B5084a. It appears that there will be relatively few major changes arriving as part of iOS 12.1, with the majority of alterations being improvements to what was provided in iOS 12. That being said, there are still some things in the release worth noting. Previously tested in beta before being pulled from the iOS 12 release, support for Group FaceTime has returned, allowing users to conduct video conferences with up to 32 people at the same time. On top of the high user count, Group FaceTime also includes support for Memoji, with the characters superimposed on the faces of participants. 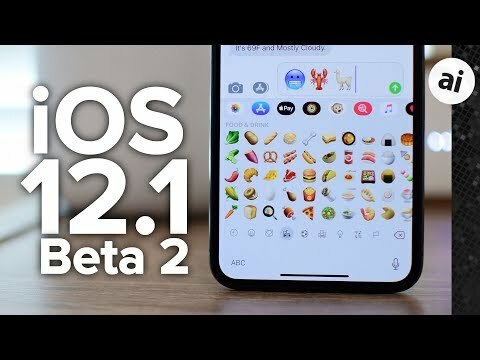 There is also a new batch of 70 emoji arriving in iOS 12.1, which is being included in betas. Other changes noticed include new code adding support for horizontal Face ID, which is likely to be used by new iPad Pro models rumored to be unveiled during Apple's special event later this month. The beta also includes a fix for sporadic iPhone and iPad charging issues. While it is unclear if the fix will be issued ahead of the full iOS 12.1 release, affected users won't have to wait long for the patch in either case. The fifth tvOS 12.1 developer beta bears build number 16J5602a, replacing the fourth build, 16J5600a. This release of tvOS 12.1 appears to be more an improvement and bug fix release, and so far has lacked any major changes that would be noticeable by users. 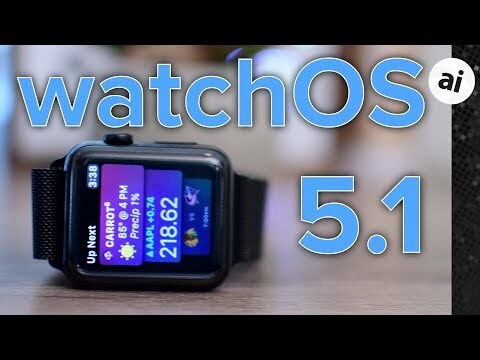 The fifth beta for watchOS 5.1 is build 16R5589c, while the fourth was 16R5584a. As with iOS 12.1 and tvOS 12.1, there are few extra features in watchOS 5.1 over watchOS 5, but the main change is the inclusion of Group FaceTime call support, and the ability to handle the call in audio until the user is able to continue from an iOS device in video. AppleInsider, and Apple itself, strongly advise against installing beta software on mission-critical devices or systems, due to the potential for data loss or other issues. Interested users should install the beta software on non-essential secondary devices, and to retain backups of any important data before installing or performing updates. Update: Public beta versions of iOS 12.1 and tvOS 12.1 are also available. Is the ECG app in there? I don't see it, which is kind of surprising because the bagel now has cream cheese on it and that's not exactly a heart healthy choice. Apple TV is the same way. The updates are so minimal it's insulting.